Learning HTML code is more about attitude than aptitude. Learning HTML code is about attitude, not aptitude. Digital ad spending in North America is projected to top $51 billion in 2014. This figure does not take into account the additional spending for digital inbound marketing for websites, emails, landing pages, and newsletters. Now, almost every marketing channel relies on HTML code (Hyper Text Markup Language) to deliver the marketing message. 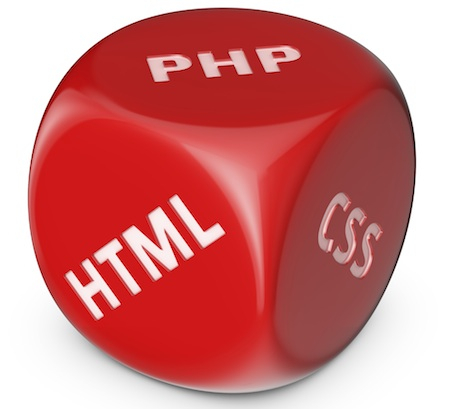 Why then do so many marketing practitioners shy away from learning the language of HTML code? Digital native or digital immigrant? There are two ways to answer this question — by date of birth or digital attitude. Digital natives were born after the introduction of digital technology. For the natives, there has always been broadband, Facebook, Hulu and Twitter. Digital immigrants were born before the introduction of digital technology. Immigrants were brought up on radio, television, newspapers, and magazines. To stay relevant, marketers need to embrace digital technology in order to assimilate into the digital native world. One site I found helpful is Codecademy.com. Codecademy.com offers tutorials in learning several web development languages through self-paced online lessons. As mentioned above, learning HTML code is more about attitude than aptitude. Starting with basic HTML tags <html></html>, you follow a progression of steps learning how specific tags control the display of photos, links, and text. As you progress through HTML code and your comfort level increases, you are introduced to cascading style sheets (CSS). CSS language lets you control specific page sections of HTML code, streamlining the coding process. A lot of inbound digital marketing relies on the use of templates for blogs, newsletters, and websites. For all the ease templates provide – page format, color selection, text edit – they can be limiting when it comes to adding additional effects and features. Looking “under the hood” at the HTML and CSS code determines how the page will display and if the HTML code is robust enough to portray the page across multiple platforms in a consistent manner. One advantage of being able to identify and change code is the ability to customize the template so it becomes unique to your brand. Not long ago I delved into my own newsletter code. It had been a while since I’d looked under the hood and it quickly became apparent that the original template HTML code was not as robust as it needed to be for displaying across generational versions of Microsoft Outlook and Internet Explorer. Inserting new HTML code, fixing missing code, and deleting redundant code cleaned up the problem for consistent email and browser display. The right attitude and HTML code training will insure that you’ll get a consistent, quality product that will support brand presence across ever-increasing digital networks and platforms.